We are an accomplished organization which has gained name and fame in providing Stretch Film Roll to the customers. Range 6 Inch x 23 Micron To 20 inch Available Within 7 Days Delivery Time. Rate Rs. 140 Per KG to 190 Per KG Plus Excise. rap pallets, furniture and more with the Buffalo Pallet Roll Stretch Wrap. Great for warehouses to wrap pallets and mover to wrap furniture to keep the load together and shield it from damage. The 80 gauge plastic has a lot of stretch to really hold the load protected. Roll measures 18 in. wide by 1500 ft. long. 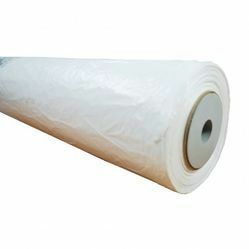 We are suppliers of Polyethylene Transparent Stretch Rolls. These products are manufactured using high quality of raw materials and latest design. The high holding force and its unique flexibility enables the Stretch Plastic Films to cling tightly to objects and, thus, used in unitizing product loads for transport. We are offering Wrapping Film to our client. We have marked a distinct position in the industry by offering Stretch Film. 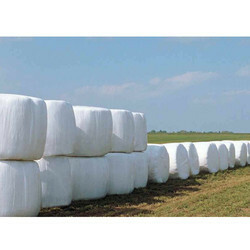 It is used for weather proofing cartons and bundle wrapping or roll wrapping. It offers exceptional resistance and strength. Offered product is used in warehouses and large stores for packing. We offer multilayer manual grade and Machine grade PE Stretch Film with superior strength combined with outstanding toughness and optical qualities which results in tight and strong bundle of products, pallets etc. We are proud to offer client our LLDP Stretch Film that is an environmental friendly stretch film which is ideal for automated wrapping of products. These LLDP Stretch Films are used for hand wrapping and have properties like high stretch and cling characteristics. These LLDP Stretch Films can be used for hand-tools, semi-automatic or fully automatic wrapping machines.